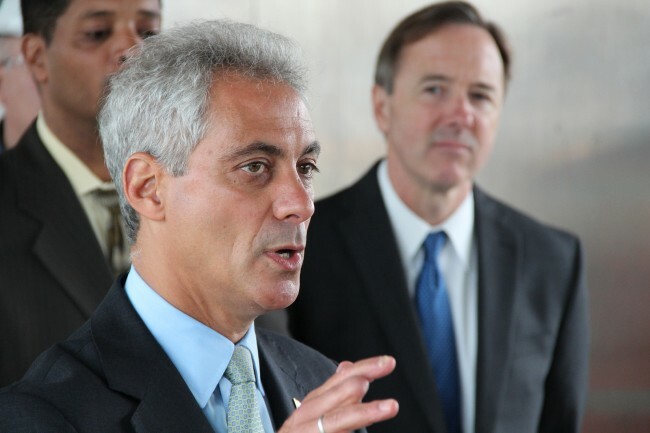 Should Mayor Rahm Emanuel Resign? Many, with solid justification, are calling for the Mayor to resign. In spite of the justification for such a call, the real question is this: Is it better for the city and the black and brown communities for him to resign, or would it make more sense for Rahm Emanuel to remain as Mayor and lead a real effort that results in the kind of substantive changes in the police culture ( a deeply flawed culture that operates in clear contradiction to its stated mission and public duty to the citizens) that benefits all the citizens of Chicago. Rahm Emanuel did not create this culture of policing, he inherited it as Mayor. It has existed for decades and has left in its wake a trail of painful atrocities that predates even the Jon Burge legacy of egregious criminal acts against the citizens of Chicago. While the Mayor is not personally responsible for the past conduct of Chicago Police, he is the Mayor now and I believe had to know there was something fundamentally wrong with policing in Chicago as is true in many police districts throughout urban America. I firmly believe that the Mayor has been given a unique opportunity in the midst of this crisis of confidence and trust between his administration and the public institutions he controls. However, the opportunity is unique in this regard, the window of time is short for him to emerge as a great leader under the weight of crisis. I have been personally moved by the Mayor’s forthright manner to accept responsibility for police conduct under his watch. I also realize that he mistakenly tried to keep the tragedy and the facts of LaQuan McDonald’s brutal murder concealed from public view and in doing so tied himself permanently to the perception of a cover-up to protect a rogue cop and a broken police system in Chicago. A system poisoned by inherent racial bias and bigotry. How do we rid our police department of racial bias and bigotry? The first critical step is to acknowledge that such underlying factors are true. Face it, finally. Then we can deal with it effectively, and move on. But, let us not kid ourselves here, as Father Michael Pfleger eloquently stated in his recent reader feedback column in the Sun-Times: “…if we build the greatest police department in the world it will have no effect on the real driver of crime and violence in our city – that being – POVERTY. Poverty is destroying the life possibilities and hope of too many black and brown people on the city’s South, East and West sides. Unless we address this specific crisis, the best police department in the world will have no impact until we vow to transform these communities by bringing massive economic resources that provide real jobs and training opportunities to the youth and adults of these communities. Then, and at the point, we will need less police, not more. We believe at this time, in spite of the Mayors culpability in the rash of recent police-related tragedies, that Mayor Rahm Emanuel is the one best suited to lead us forward and out of this crisis state that is paralyzing our city. He certainly owes that much to the city and the black and brown communities. Let us give him that chance; with our full backing, we believe that together with the Mayor’s leadership we can close the chapter on this troubled past while turning a new page of hope, possibility and transformation of our most troubled communities. The New L.I.F.E. Movement and the BusyMan workforce, two affiliated grass-roots organizations are organizing public demonstrations of support to retain our Mayor and get behind his efforts to reform police culture in Chicago, and to transform the communities mired in poverty and economic bliss. This is the grave imperative because black and brown lives do matter, and when our police patterns and practices reflect this, then we can proclaim proudly in this great city that all lives truly do matter. We will have arrived when the day comes in Chicago when my sons walking down the streets of their neighborhood will be treated by police the same way the Mayor’s son is treated when he is walking down the streets of his neighborhood with his friends. The vast majority of young black and brown men are not gang-bangers, don’t possess a gun, and are not criminals in spite of the popular negative imagery of them as such when portrayed in the daily media. The call is now made to all of our fellow citizens to come join in the effort to get behind our embattled Mayor and give him the opportunity to lead us forward and make right, finally, the historic wrongs committed against our communities for far too long. This is the imperative all Chicagoans must embrace. And now is the time.